Fairmount Park Conservancy exists to champion Philadelphia’s parks. We lead capital projects and historic preservation efforts, foster neighborhood park stewardship, attract and leverage investments, and develop innovative programs throughout the 10,200 acres that include Fairmount Park and more than 200 neighborhood parks around the city. Through sustained leadership, significant investment, and strategic efforts, Fairmount Park Conservancy positions Philadelphia’s park system to become a world-class, preeminent park system, and a national model for urban revitalization, sustainability, and civic engagement. Fairmount Park Conservancy is a leader and steward of signature capital projects and innovative programs in support of Philadelphia’s parks. Fairmount Park Conservancy is a champion of the Philadelphia parks and recreation system – it raises funds to develop and promote the Park’s unique assets, accomplishments, and contributions. 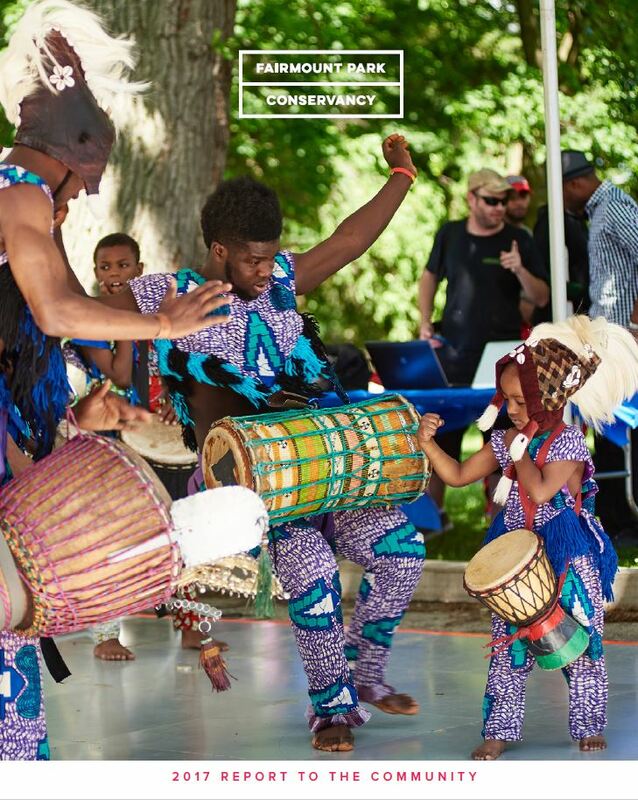 Fairmount Park Conservancy is a true collaborator – it builds and stewards partnerships with other organizations that can bring increased resources to and awareness of the Philadelphia parks and recreation system. Fairmount Park Conservancy is committed to having a positive and measurable impact in the neighborhoods and communities it serves. Fairmount Park Conservancy supports City-owned and operated parks, playgrounds and programs. To learn more about our partners in city government, visit www.phila.gov/parksandrecreation. Find a link to our logo here. View our brand style guide.